We've worked with EWP for many years, and it was time to refresh their online presence. We helped them select a responsive theme on the latest version of Drupal, and tweaked it to display EWP's brand identity. 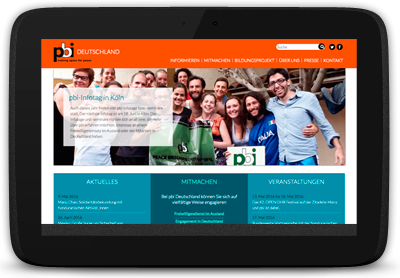 The site enables them to publish updates about their new campaigns and latest news through the Drupal dashboard. We rebuilt their membership signup and listings functions with an interactive map customised to display regions where EWP members work. 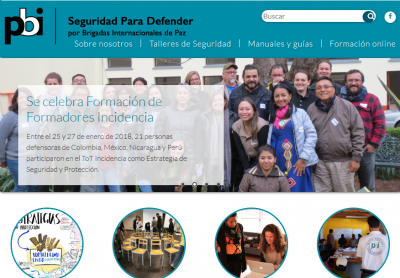 The new site reflects PBI's identity and demonstrates their impact by showcasing stories and images from their archives, and displays an interactive map to show PBI's global projects. CR provided us with a detailed set of requirements for a fully featured, fully up to date corporate website. They wanted their extensive set of online content in a variety of formats to be accessible across different-sized displays, to improve their already top-ranking SEO, and to seamlessly integrate their social media channels, all in an elegant and carefully branded visual style. 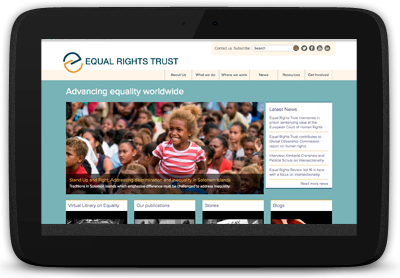 Their priority was to improve the accessibility of their Virtual Library on Equality, by making it display elegantly and correctly regardless of the size of screen or type of device used by visitors, and adding a powerful suite of facetted and advanced searches. We worked closely with ERT to design and configure the library and to migrate the contents from their previous CMS and to reinvigorate ERT's online presence using maps and bold imagaery in a custom design based on their brand. 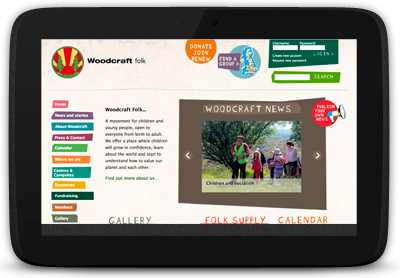 This ambitious project was set up to integrate the Woodcraft Folk's in-office membership administration system with their public facing website. The idea was to build a very modern system to underpin a site that supports Woodcraft kids, parents and office staff, without losing the special creative spirit and energy of the Folk that has endured since its inception nearly 100 years ago. 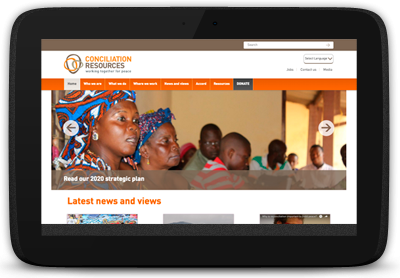 End Water Poverty's old site had served them well for a number of years, but began creaking at the seams as their content needs evolved and the site wasn't able to keep pace. 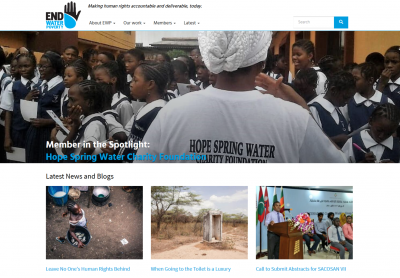 The new site's aim was to bring the issues and campaigns of EWP to life - especially for their growing network of water and sanitation NGOs around the world. We worked on a design that would be more engaging for incidental visitors and committed visitors, that could provide clear campaign information on a single page making it simple for users to see how they can get involved and support the movement.